Happy summer to all of my Juicy Bites readers! So maybe extravaganza is a bit of an over statement, but a juicy post title can’t hurt…right? I do hope to post many a salad over the next few months. Salads are a great way to lighten up your dinners for summer and keep you from sweating over the stove. Even if there is some cooking involved with a salad recipe, it can usually be done earlier in the day before it gets too warm. This salad happens to be one of my favorites. It’s a classic that I’m sure you have probably had before, but maybe forgot about. It is great as a dinner salad because it is substantial and filling with the tuna and eggs to give you some healthy protein. 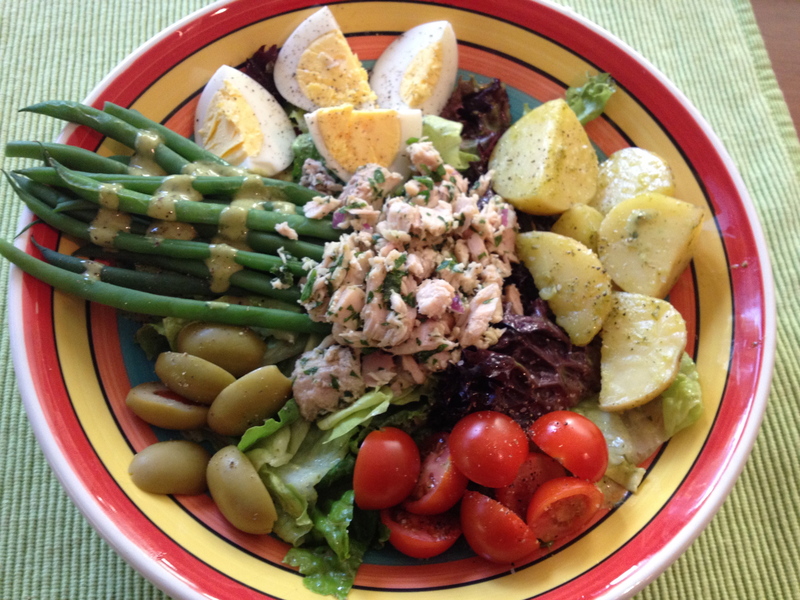 I make this Niçoise salad salad with a good canned tuna, but it is even better with a sushi grade ahi that has been seared and kept rare. It’s also great with grilled salmon. 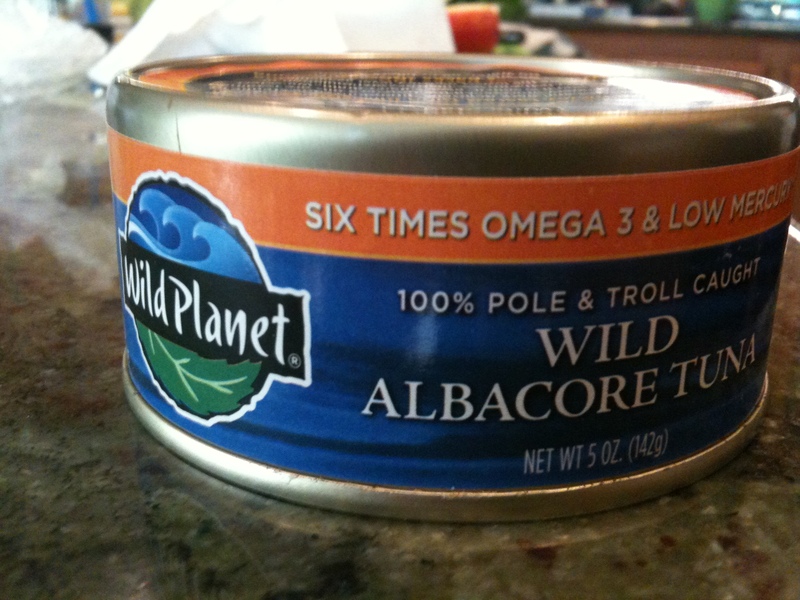 If you go with canned or jarred tuna, make sure you use a good brand like Wild Planet or an imported Italian tuna packed in olive oil. It really makes a difference! 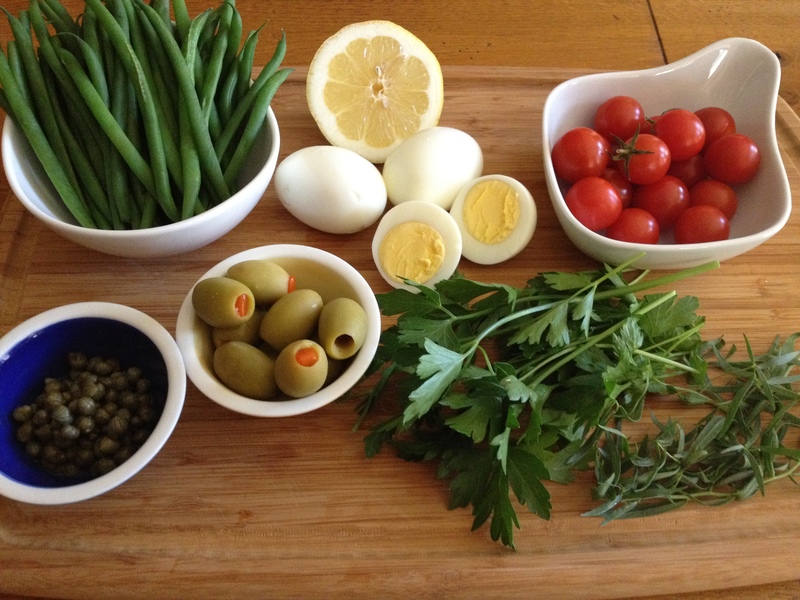 You also want to use really good olives…Niçoise if you can find them. I couldn’t, so I bought a good quality green olive. As far as your greens go, you can really use what ever you like best. I like a hearty lettuce like romaine combined with something a little more delicate, like butter lettuce. Niçoise salad is all about presentation. You serve it with all of the ingredients laid out separately, never tossed. It’s a great salad to serve for company (especially with fresh fish) because of it’s beautiful presentation. In the bowl of a small food processor combine all of the ingredients except for the olive oil and pulse until well blended. 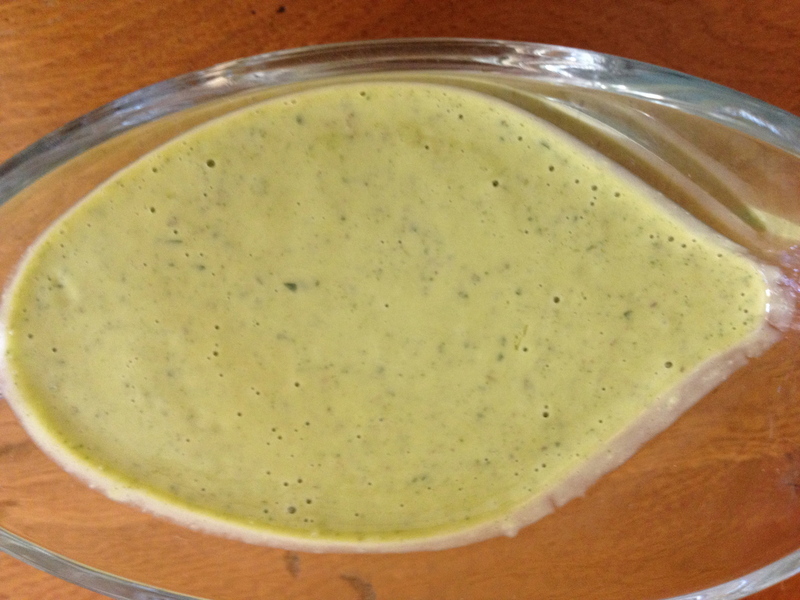 Scrape down the sides of the bowl and turn on while adding the olive oil slowly to emulsify. Set aside until ready to use. Make the salad dressing and set aside. Put the potatoes in a pot and cover with cold water and add a teaspoon of salt. Bring to a boil and cook for 10 to 15 minutes or until tender. 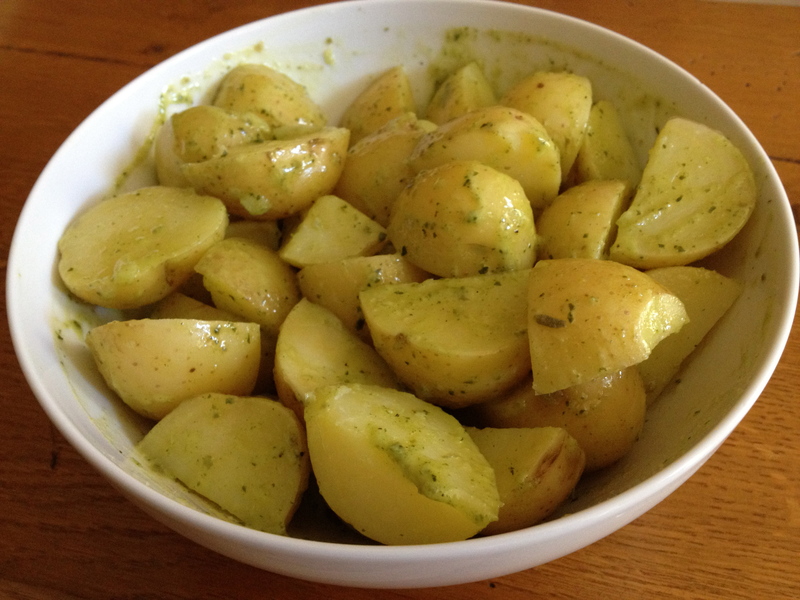 Drain potatoes and put in a bowl with a couple of tablespoons of the dressing and toss well. Blanch the green beans in boiling salted water for about 5 minutes and shock in cold water. Lay them on paper towels to dry. Drain the tuna and put it in a bowl with the chopped shallot, chopped parsley and tarragon, squeeze of lemon juice, olive oil, salt and pepper and mix well to combine. In a large bowl, toss the lettuce with some of the dressing. To assemble the salad: In a large shallow bowl or plate put a layer of the lettuce down first. In the center on top of the lettuce, put a quarter of the tuna. 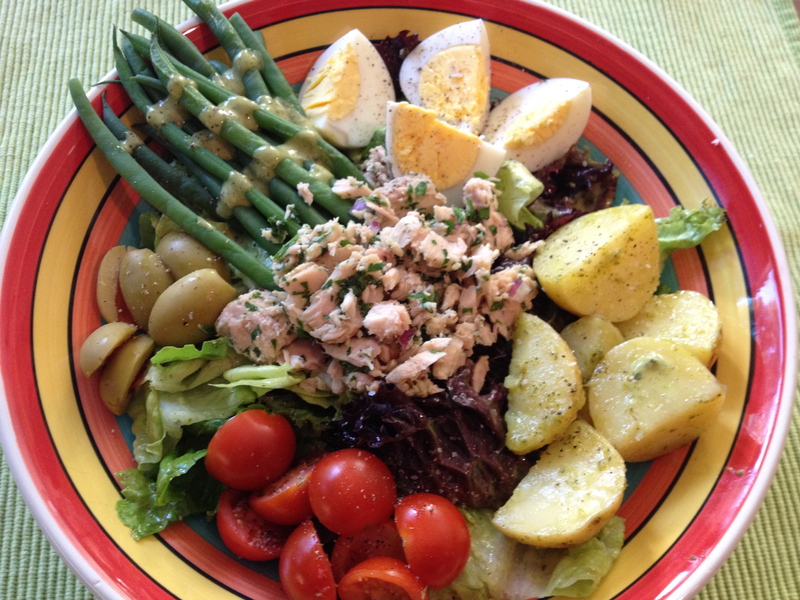 Around the tuna on top of the lettuce, arrange the green beans, one of the boiled eggs, a quarter of the dressed potatoes, a few of the olives, and a few of the tomatoes. Drizzle a little of the dressing over the top of the salad and season with more salt and pepper. Serve with good crusty bread and a crisp glass of sauvingon blanc.